This would look great in your office or den, or living room. Great for displaying trophies and knick knacks. All our wood plans are available for immediate download. This simple ledge is one of our favorite projects, and can be constructed in only a few hours. Top it with anything that needs a home—from a row of picture frames to your collection of candlesticks—and your friends will think you hired a master decorator! 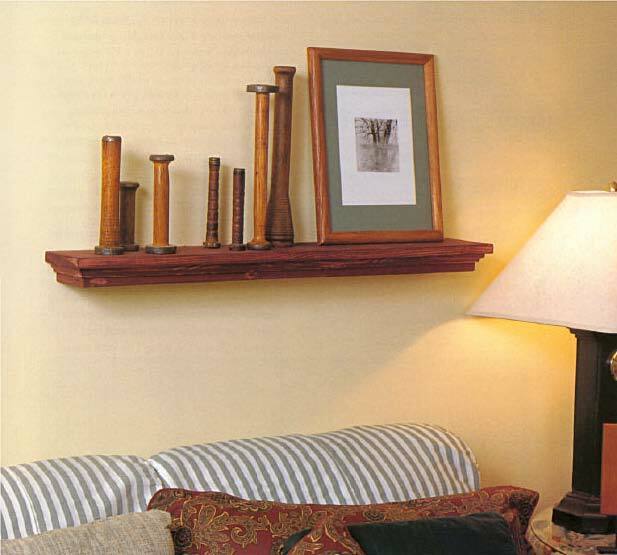 This wall ledge wood working plan contains a detailed bill of material including hardware required, a cutting list, and easy to follow step by step instructions.